"I'm your number-one fan!" kid says in a kind of scary way. 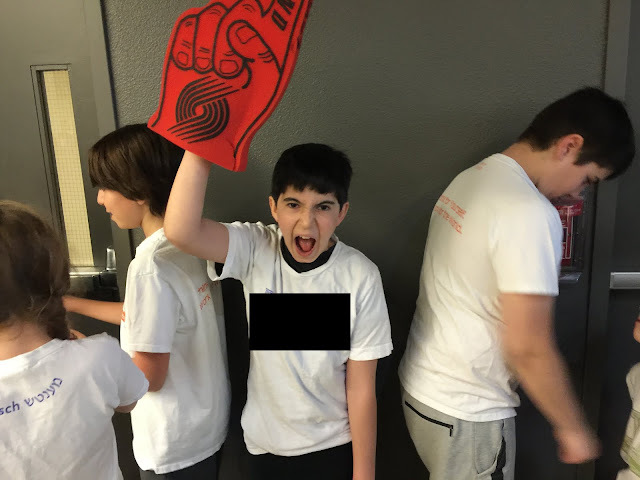 My kid was an anthem buddy at the Trailblazers game last week. This meant he got to out on the court, be near NBA players, and help sing the national anthem. A very nice experience. As luck would have it, Storm Large sang the anthem.